The ultimate symbol of success in today’s society. To have your brand plastered across the front of a skyscraper, your name in the lobby of the building, your ego infused into the structure – it’s The Sign that you’ve made it. Back in the day, it was probably pretty cool to have a skyscraper associated with your name, the penultimate way to show that the sky is literally the limit. In a time when the world needed rebuilding, following the post-war period and the subsequent boom years, the whole concept of skyscrapers was probably nothing more than a dream for most people. Skyscrapers were cool. But in today’s world, we have them – everywhere. Major metropolitan cities are defined by them. They are no longer a dream, or a symbol of blue-sky thinking, they are a statement. 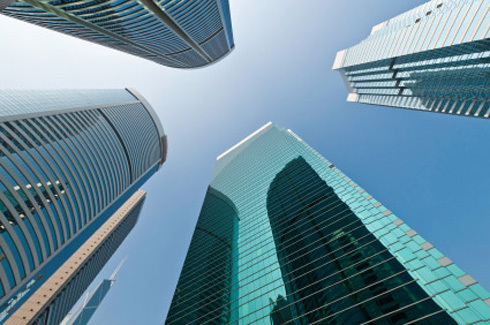 And in certain spheres of the corporate world, some may even argue that skyscrapers are an essential piece of that big-dog persona that companies strive for in order to stay at the top of the game. The problem is that when you have so many, it loses its edge, its luster. 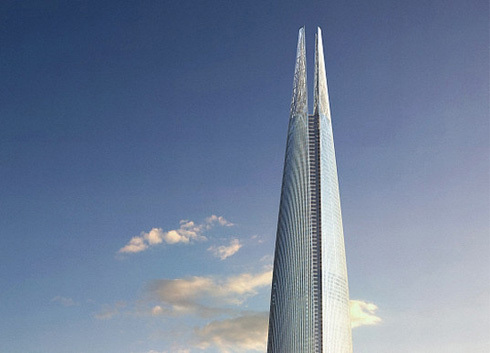 Suddenly it starts to look a little ostentatious, insensitive even, to build a skyscraper in the name of business. Floor by floor, office by office, brick by brick. Until you are left with nothing more than a pile of rubble. And instead of rebuilding a bunch of eco towers and carbon-efficient colossus with a different set of logos, wouldn’t it be cool to build something different? 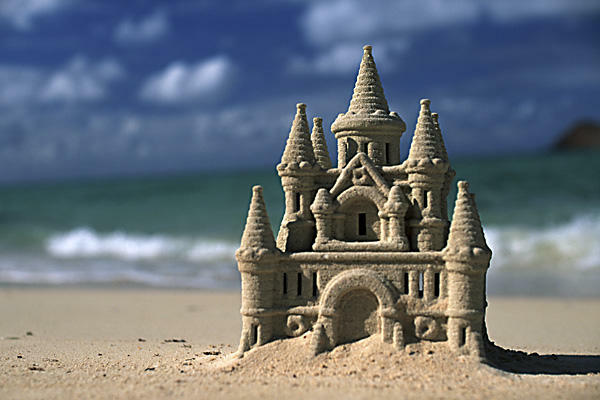 What about, say, a sandcastle. Go to the beach, get swept in by the immensity of the sea, take in the sunset and start piling sand. Take your time, breath in the air and just start from the ground up. Enjoy the process of it and develop it only to a point where you are comfortable with it. There doesn’t need to be anyone there to watch you, to analyze you or grade you, build the sandcastle for you. Granule by granule, tower by tower, wing by wing. And then when it’s built ,walk away, move on to the next one. 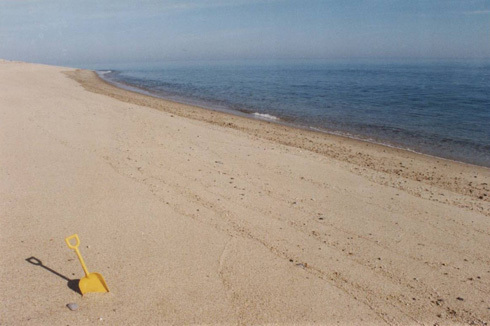 The next person to walk along the beach may stumble upon the sandcastle, look at it and have a different view of the horizon.